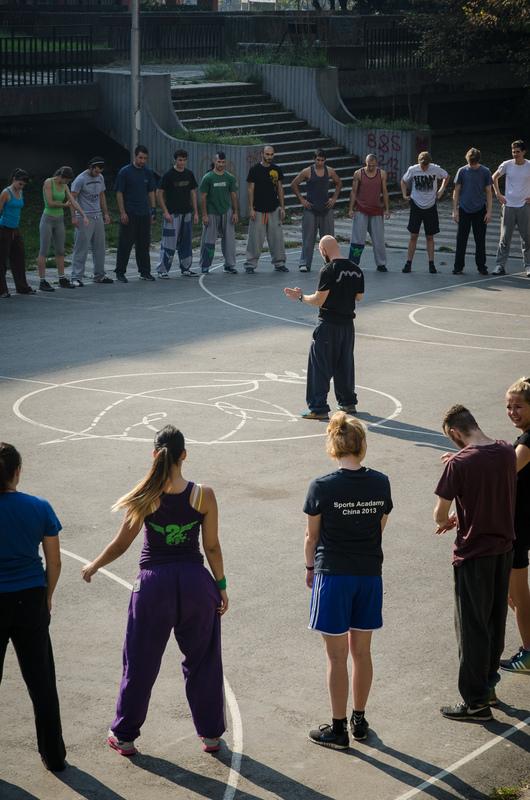 With an degree in sports science and physical education and a movement background in Capoeira Mikkel began his training in 2005. Being one of the strong forces behind the healthy growth of the discipline in Denmark, Mikkel has a great love for movement through a wide spectrum from conditioning to technical finesse. With a optimistic and energetic teaching style he is gifted with the ability to always put a smile on people faces - keeping the training positive even when it gets hard. Since 2007 Mikkel has been a teacher at Gerlev Sports Academy, mostly known for the yearly event; International Gathering.